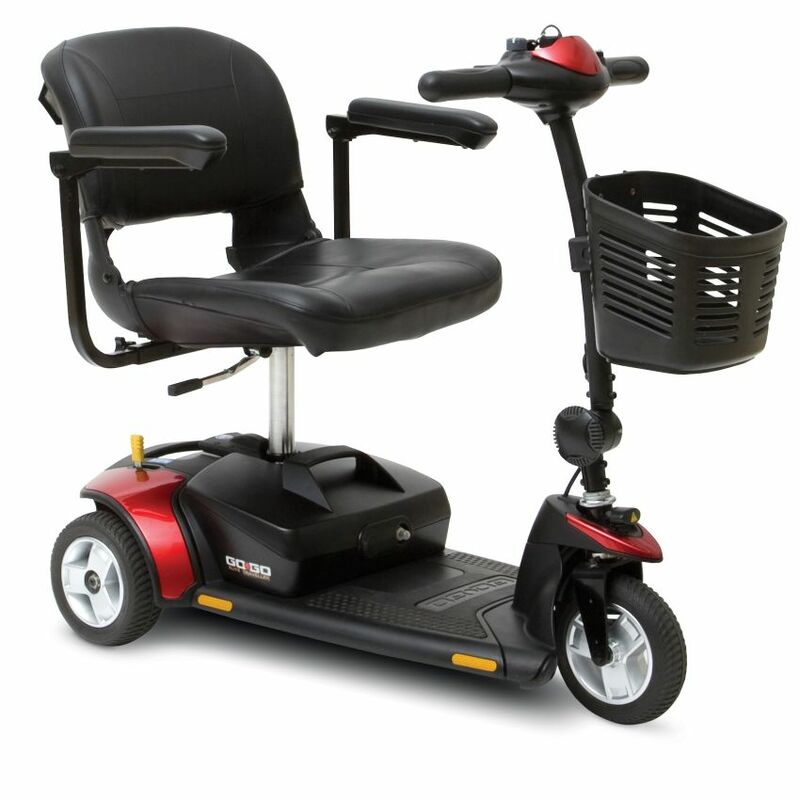 The Go-Go Elite Traveller® offers unbeatable ease of transport, tight space maneuverability, and gives you the versatility to change its color, and your style, in a snap with interchangeable shroud panels in two different colors. 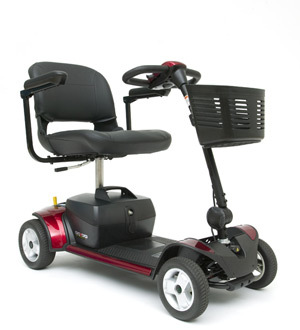 The Go-Go Elite Traveller’s compact size allows it to negotiate narrow hallways and tight spaces while also providing stable outdoor performance. Take the guesswork out of travel with ultra-simple assembly and disassembly and impressive performance. Pride’s Go-Go Elite Traveller comes with a standard 12AH battery but allows users to upgrade to an 18AH for improved travel range. The travel scooter is lightweight and easy to disassemble.